Fa, la, la and ho, ho, ho, y'all! 'Tis the week to lose our shiz and start panicking about not sending out Christmas cards or getting our shopping finished. I'm talking about beauty loot! I'll put a little description of why I lurve the product below it. Because I'm thorough. This stuff is grrrreat (in my Tony the Tiger voice) for cleansing during the colder months. It leaves my face feeling so fresh and so clean, clean - but without the harshness of many alchohol based cleansers. Good for dry or sensitive skin. Bonus Blonde Ambition Tip: Leave the toners at the make-up counter. Toners serve NO purpose during the fall/winter except for leaving your skin looking like parchment paper. I never knew I needed this in my life until I tried a sample recently...wowza! My hair was soft and manageable, two qualities that don't come easily to an OCD hair highlighter and curling iron enthusiast. 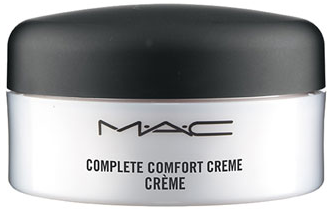 Bonus Blonde Ambition Tip: Use a dab on elbows and knees before bed to soften those driest spots! A little spritz of this stuff after heat styling and your hair will shine like diamond. Or a lighthouse beacon. Or my forehead after I jump off the treadmill. Our friends at Sephora sell this amazing brush, which is fabulous for styling long/thick hair. The ion technology helps to cancel out frizz and static, making it essential for these winter months coming up. Bonus Blonde Ambition Tip: Rub a Bounce sheet on the collar of your coat and on top of your scarf to keep hair from clinging to it during cold, dry weather. I know this isn't a brand new product or scent, but it really never gets old. It smells like a wonderful dessert and leaves my skin feeling super luxurious. Stephen approves! This balm is perfect for those of us prone to chapped lips. It balances out the levels of moisture in the lips and its exfoliating properties help to get rid of dead skin. Chapped lips, no mo'! I started using this as soon as the weather turned cooler and it has SAVED my skin this year. Normally by this time in December, I'm looking like a Beverly Hills Housewife who just had a bad chemical peel. 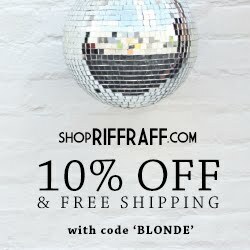 What are your fav products for winter time? P.S.- I usually keep most of my unpleasant thoughts to myself. We talk lip gloss, and hair highlights and skinny jeans...the boat remains un-rocked. However, this southern belle has about had it. I'd like to kindly ask that everyone be patient with me through this pen pal matching process. I'm one busy girl asking many other busy girls to please understand that this takes awhile. I'm working with hundreds of entries and honest-to-goodness trying as hard as I can. To make matters more stressful, it's the week of Christmas and I want to remember every moment of my first one as a newlywed. -"I have purchased very expensive stationary...and for what? I haven't been matched!" -"Why was a given a pen pal in Canada? Postage is more expensive and I'm not sure I can communicate with someone who many not speak English." -"I know you're busy, but my pen pal and I have nothing in common. She's single and I'm not sure we can relate on anything." Note #1: I am so not kidding about the "may not speak English" part. To that entrant, I've been to Canada. They speak English, often better than we do. You just reminded me I need to mail out my cards today! Thanks! And I've considered buying argan oil for my hair. But I never have. It's a tad expensive for something I'm not sure would work. I may have to look up some reviews. OH dear sweet sweet Leslie, so so sorry you are dealing with rude snarky ladies. This was a great idea you came up with, I wish people would pack their patience for you. Thanks for the fun beauty product list. I will have to try the argan oil and finishing spray! I'm so sad I forgot all about entering the pen pals, but seems like you've had lots of stress with it! Don't let these silly girls get you down! Hope you can remember what this week is really about! Don't let a few bad apples ruin your good deed for everyone else. I just got my email from you with my match, and regardelss of where it goes, thank you for your time in matching us up. Merry Christmas!! 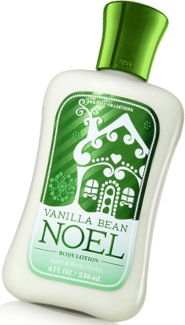 Ooh, I love the vanilla bean noel scent! Smells gooooood! Sorry you're getting rude emails :( Girls seriously need to CHILL OUT! It never ceases to amaze me how rude people can be...are they this rude in real life or just through the anonymity of te Internet?! Can't people just be nice and appreciative, especially of someone who is volunteering her time to do this for others. Apparently no good deed goes unpunished, right? Hang in there, girlie. You rock for even attempting this! p.s. If anyone is looking for a pen pal and hasn't gotten matched yet, check with your local military support groups. Lots of men and women overseas who would love mail, especially this time of year! Be sure to match the rude people with another rude person--maybe they can be rude to each other and leave the rest of us alone. ha ha. Or you could match them to one of us AWFUL single girls...we can be real drags. ha ha ha. Keep your head up, girl! BTW, I loved your winter beauty guide! Ohmygosh! Those snarky people need a little bit more well-roundedness and possibly also a little less time on their hands.. haha.. I'm sure they're perfectly nice, but holy gosh. Sorry you're dealing with that, friend! And I love all the winter beauty tips! Can I ask you what kind of curling iron you use? You might have blogged about it before; I can't remember. I'm looking for one. :) I haven't had a curling iron in years, but I want to give it another go. Usually my hair doesnt hold curl well, so we'll see.. haha! As a Canadian I personally LOVE that comment. We are completely illiterate way up here!! 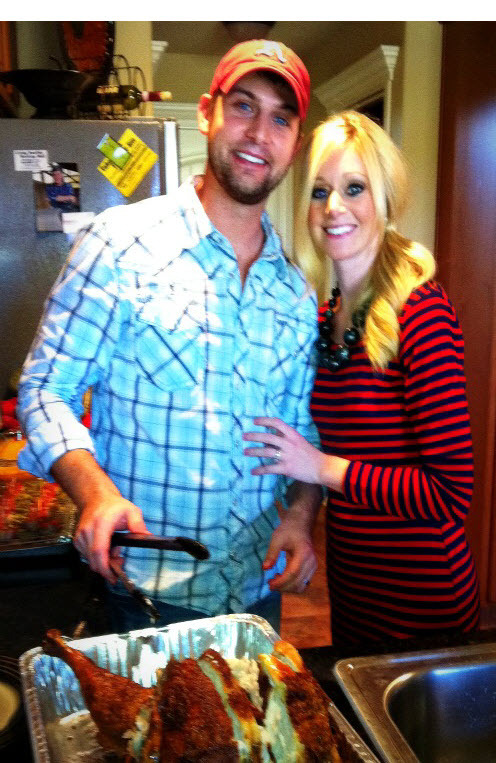 you and your hubby are so cute! and I must try that bb cream! I love the argan oil! I've been using it for about three weeks, and I've noticed some serious progress in the shiny (but not greasy) department-yay! I now have some more products to add to my never-ending wishlist-yay! I agree, people need to have more patience. I can only imagine the amount of work you're putting into this, so thank you! Btw, LOVE my match-up! She and I have emailed to get a few basics down fast-track style, and plan to start mailing soon. Thanks so much for doing that, you're so awesome! ok i seriously am a little t.o'd by the emails you recieved like what tha crap, who does that? i mean i didnt sign up for the pen pal thingy but you can tell all "snarky" emailers that if they continue to think they are above others than i will hunt them down and kicked their butts. and if there's one thing this landlady knows, is how to hunt someone down and kick them out! lol i kid i kid..sometimes. i wish i coulda signed up but i know from my bill collectors that i'm not the best at remembering to mail letters. lol. hope you have a good monday and dont let ugly folks take your pretty christmas spirit. I'm sorry about snarky-ness! I can't believe the comments about Canada/singleness..ridiculous! My pen pal and I have already emailed basics, and we have so much in common (but it's okay if we don't)! That's the whole point of pen pals--to get to know someone and learn about someone else's life. My students are pen pals with a nearby class and let's just say it's so much fun getting letters and writing the old-fashioned way! Can't wait to do it myself! Thank you so much for matching all of us up...you are awesome! Pat on the back to you, Leslie! And remember that "you can't be all things to all people"...something my mom taught me, and I live by this daily! Especially being a teacher, I have learned you can't make everyone happy, and that's not the point of life anyway...you just keep on keeping on and keep that smile on your face! :) Thanks, girl! hahahaha. "they may not speak english"...for real ladies?! i cannot believe some people. and also, as a single gal myself, i assure all those out there that i still may have things in common with those of you coupled folks..you know being that we're both girls, with brains, and lives besides what my marital status is. leslie, thank you for taking the time to come up with this idea, AND match us up the best you can...i apreciate it :) cheer up buttercup & happy holidays! I got a Canada pen-pal and I AM EXCITED!!!!!!!!! Thank you Leslie! wowzas! What is wrong with people?! Enjoy your first Christmas as a newlywed!! 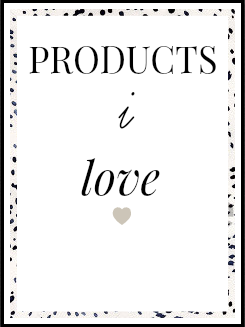 I love this post about your favorite winter products. I'm sorry to hear that people have been terrible about the pen pal situation. I hope that it gets better. I love reading your blog and all the fun things you post. Enjoy your first newlywed Christmas! It's wonderful! Drats. Next time you do penpal stuff, I so wanna do it. I hate I missed it. 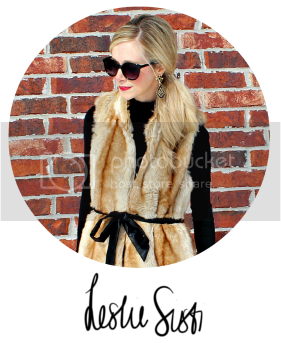 Hey lady! Those comments are just angry ladies who are not thankful for all the work that you put into making the pen-pal match up! The rest of us (normal people) are super thankful and excited about the pen-pal match up!! Take care! I can't believe some readers have sent you such harsh comments! You have offered to take on this huge project out of the kindness of your heart, not to mention during the holiday season! I am thrilled with my pen pal. Not only do we have tons in common, we also live in the same city! So not only do I have someone to send letters to, I also have a new in-real-life friend!